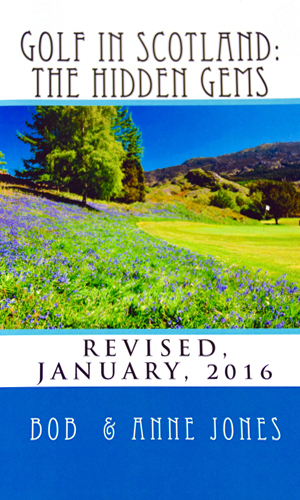 The book provides playing notes and details on more than 120 of Scotland's “Hidden Gem” golf courses (10 new to this edition), including notes for women players on many courses. 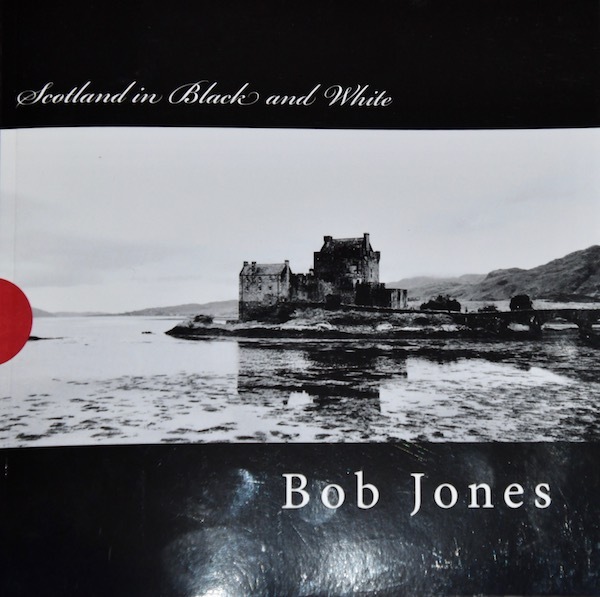 The early chapters give information about touring and driving in Scotland. The book also recommends more than 170 pubs, restaurants, and tea rooms, and almost 50 Bed and Breakfast or Guest House lodgings throughout Scotland. For non-golfers or those non-golf days, the book details more than 50 of Scotland's best visitor attractions. 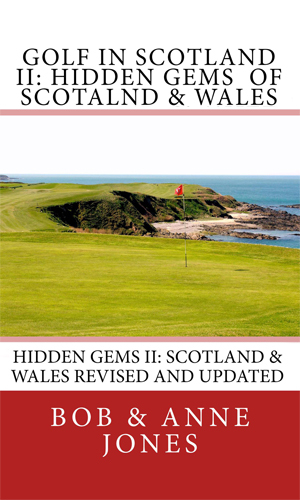 The book details playing notes and courses information on 95 Scottish and 27 Welsh famous and lesser known courses, including notes for women on many courses (different courses than Golf in Scotland: The Hidden Gems). The first chapter is all about getting started on your Scottish or Welsh tour. The book includes recommendations for more than 200 pubs, restaurants, and tea rooms, as well 100 Bed and Breakfast or Guest House lodgings in both countries. The “Attractions” section in each chapter lists dozen of the best of Scotland's and Wales' tourist destinations. 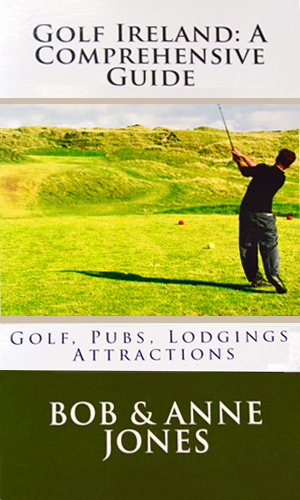 This book features playing notes and details on almost 90 of Ireland's famous and little known links and parkland golf courses. Many of the courses include playing notes for women. In the book are recommendations for more than 100 pubs, restaurants and tea rooms throughout Ireland. Also there are recommendations for more than 50 Bed and Breakfast and small Guest House lodgings. More than 100 of Ireland’s best tourist attractions are noted, as well. 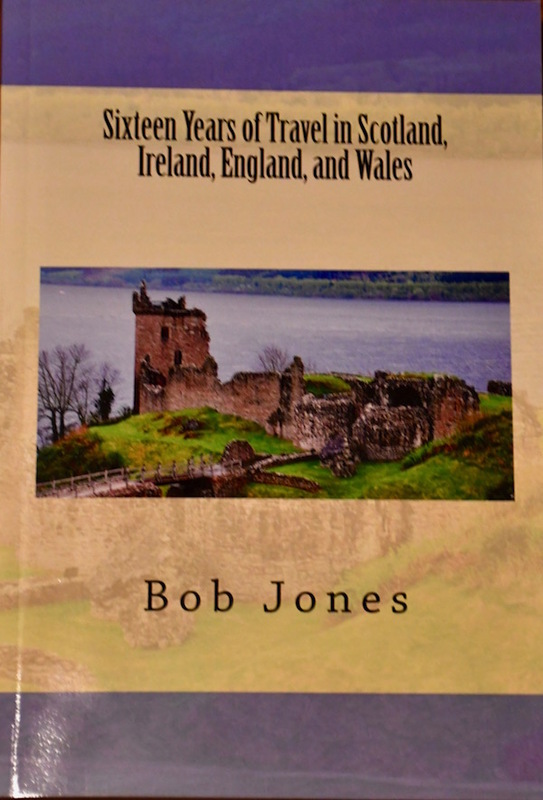 Sixteen Years of Travel… is not a travel guide, although you might get some ideas of what you would want to do and see on your own trips—like the grand castles at Edinburgh and Stirling, the famous Llanfair PG on the Isle of Angelsey in Wales, the two special competing restaurants in Helmsdale, or what the Scots deep fry. Sixteen Years of Travel… tells about the Scourge of the Highlands, and the chocolate eating fox of East Claire. There are heroes, villains, and beasties. Food to die for and food that could kill you. Hints for driving on the other side and hints for the drivers of golf balls. 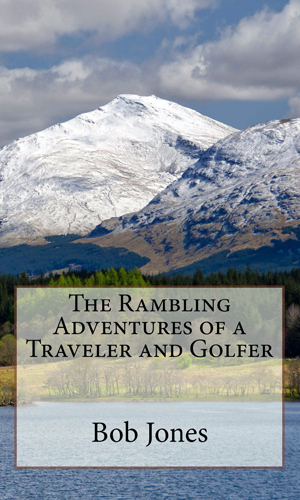 The book has chapters on driving, golf, wee beasties, food, castles and attractions, B&Bs and guest houses, the people, and a little bit of everything else. All this in small vignettes gathered by two retired teachers who began traveling to the British Isles when they retired. 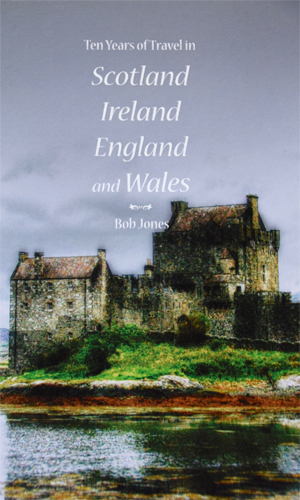 A three-week vacation trip to Scotland to celebrate retirement has turned into a love affair with Scotland, Ireland, England, and Wales. That love affair has generated the stories in this book. About the Special Limited Edition: The regular edition can be ordered from amazon.com or amazon.uk by using the Buy Now button. A Special Limited Edition (100 copies) is available from the author and can be ordered via email (link also above all books). The Special Limited Edition comes signed and numbered and has a hand printed photo mounted on the dedication page—photos are different from those published in the book. The price for the Special Limited Edition is $24.95 plus $4.00 shipping and handling (via USPS media mail). Signed and numbered copies are not available from Amazon. Anne and I have since September, 2000, taken thirty-one trips to the British Isles—England, Wales, Scotland, Ireland, and Northern Ireland. Four of those trips were to Ireland, four to Wales, and about ten to England. But twenty-nine of our trips have been completely or mostly in Scotland. On those trips to Scotland I’ve taken a little over thirty-thousand photos. About five thousand were taken with film— 1500 with print film, 3500 transparencies—and 25,000 have been digital photos. To take all those pictures I’ve used at least fifteen different cameras (all Nikon or Panasonic Lumix) and an uncountable number of different lenses. All the photos have been color (print, slide, or digital). Several hundred of the photos, though, work well or better as black and white images. Monochromatic pictures (black and white) have certain advantages over color images. Most people still love black and white photos; they have a certain power color doesn’t. Sometimes color can be a distraction and images may seem too complex. It’s easier to focus on important aspects of a photo—shape, lines, shading, texture, perspective, etc.—with a black and white image. Good black and white photos have a classic feel—artsy or fine art. Also, black and white photos allow greater interpretation by the viewer than color photos. Because all the photos used here were originally color photos, all had to be transformed into monochrome. To accomplish that I have used several different programs, mostly Adobe PhotoShop CC and Nik Silver Efex Pro. When available I have provided technical photo details at the end of the commentary—camera, lens and focal length, shutter speed, aperture, and ISO setting. Most important, though, is what these pictures say about Scotland. The commentary presented with each photo (on the opposing page) is not intended to illuminate or explicate each photo, but instead to be a good neighbor to the image—the commentary may be a story about the photo or suggested by the photo, it may be information about the image or the taking of the image. I’ve tried to make a collection of photographs that present a broad section of what makes Scotland Scotland. In the collection of 90 photos are images that tell some of the history of the land and its people as well as comment on the people and the culture. Ultimately, it will be up to the viewer to decide what exactly each image or the collection of images says about Scotland. Regardless of what message or messages you receive from these 90 black and white images of Scotland, I hope that you enjoy the experience. — Interior Example Double Page.